Michael Olukoya, the President of Nigeria Union of Teachers is dedicating today to protest the abduction of the 200 girls and 173 teachers who have been murdered by the Boko Haram Sect in Kano and Borno. across the 36 Nigerian States of the federation today. 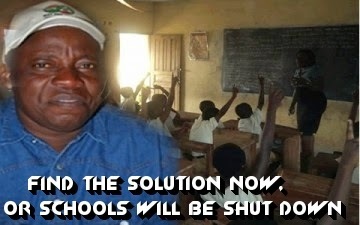 All public schools across the country will be closed, as the day will be NUT’s day of protesting the abduction of the girls, as well as the murder of 173 teachers, Mr Michael said.